TV networks that air the Super Bowl continue to reap bigger revenue rewards, while commercial time in the game continues to rise. 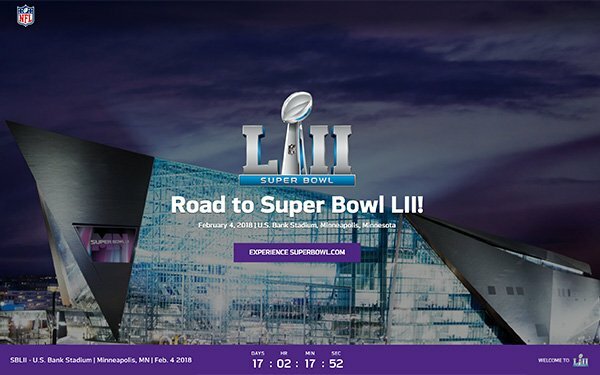 Kantar Media says total Super Bowl TV advertising last year -- the game itself and the pre- and post-game -- totaled $534 million, up 20% versus 2016, when it was $445 million. In-game TV advertising for 2017 on Fox, which aired the game, tallied $419 million. The pre- and post-game revenues came in at $115 million. Kantar Media also says total commercial TV time in general continues to creep up -- 4% higher, to 51 minutes and 30 seconds (51:30) in 2017, with a total of 102 commercial spots, versus 2016. Total commercial TV time in 2016 was 49:30 with 96 spots; in 2015, it came in at 48:05 (82 spots). In 2014 there was a dip to 49:15 (83) from 2013, when it was 51:40 (97 spots). Kantar notes that the Super Bowl now contains 15% to 20% more commercial time than a regular-season NFL game. While some marketers make an effort to make a major impact with longer Super Bowl TV commercials, the 30-second commercial is still the most common format length. Last year, 63% of spots were 30 seconds long, while 19% were a minute or longer and 15% of spots were 15 seconds or less. Last year, the average price for a 30-second commercial was $5.05 million -- up from $4.8 million in 2016, says Kantar. NBC, which will air this year’s game, says 30-second spots are going for well north of $5 million.